Sculpture begins in the mind; A beautifully unique journey, giving life through interpretation of tradition and form. I am a cultural carpenter, an artist. My name is Dylan Sprague, born to the Iroquois Six Nations on my mother’s side in Brantford Ontario, October 10 1991. I am of Irish and German descent on my father’s side. I have lived in beautiful Victoria, BC most of my life. The interest for carving developed while I was living in Bella Coola BC at the age of fourteen and has been ever present since. After high school, I began to apprentice under Carey Newman. The first project I had the privilege of working on with him was his 2010 Winter Olympics commission with O’siyam. I find inspiration for my work with wood in culture. 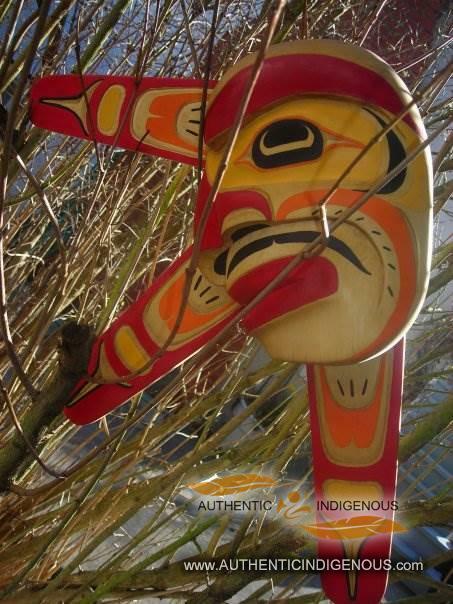 One of my mentors, Clyde Tallio, native to the Nuxalk, has given me such an insight into the way i think about art. “everything made had relevance, culturally. there was no artist, the ones who carved were called cultural carpenters.” It is with these words i find an unending wealth of importance to preserve our traditions. It is such a privilege to live in this time, as we as a people are regaining the strength to carve a culturally rich future.